It is unbelievable to me that fall has made itself at home. As much as I love this time of year my mind wanders back to a mere month ago, to September when we experienced some phenomenal weather and I lingered long on the deck soaking it all in, drinking tumblers of Kombucha and tinkering with my new ukelele. It’s my new “slow down and enjoy life toy.” But don’t let that bit of news get you to thinking I’ll ever rock it like Sarah Barielles! In my dreams, *sigh*. Hear Sarah here. Fast forward and the firewood is chopped and stacked, the chimney sweeped, the garden harvest in, and the winter cover crop is greening up. Soon my trusty soup pot will have a prominent place on the stove until Spring and I’m itching to be browsing the internet for new and tasty soups to keep us warm for the winter months. But I can’t fully bundle up and batten down the hatches without sharing a few bits with friends as we head into the winter months. For many of my preserving friends, your pantry is a well stocked cornucopia of lovely fruits and veggies, jams and jellies for the months ahead. It can be quite daunting to glean every last bit of garden edibles for canning & drying while watching the leaves falling from the trees. And even more so when you’ve not given one sliver of a thought to next years harvest. But oh, these thoughts are crucial for making the most of your garden. So here’s a gentle reminder I hope you won’t mind me giving you about your garden soil. Now is the perfect time to think about giving back to the soil for it’s bounty by nourishing it’s complex yet delicate system for future harvests. Take a few minutes and think over these 3 simple steps for a sustainable garden. 1.) A garden doesn’t feel properly dressed or cozy without covers. Sow in a fall cover crop to help keep soil from compacting, provide a great source of nutrients via it’s roots to feed soil microorganisms and improve garden tilth. I call it uppening;) But if the window of opportunity has passed in your area to plant a cover crop, then an inch or 2 of mulch will do. Just remember to put your baby to bed all proper like. 2.) It’s never too late and always a good time as ever to begin composting. It really isn’t that scary. A corner of the garden will do for disposing of garden debris and food scraps. Compost happens! In a season or two you will be pleasantly surprised. I share more about composting here. 3.) You’ll need a good cup of tea for this one. Grab a pencil and paper and take a few moments to ponder over your garden. Still with me? Great! Think of ways you can improve your garden’s functionality. Location is everything, the further away your garden the more uneccessary energy it takes to manage it. Bring your lovely in close. Start there and then break it down into paths, plots, garden shed, compost area, in close proximity to each other. I know it seems like I’m pointing a bony finger your way saying do this and do that. Well, I guess I kind of am, but don’t go away, I’ve got a sweet little DIY I hope will smooth things over. 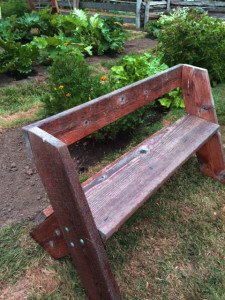 I’m in love with this nifty utility bench that could easily be made in a couple of hours. I discovered this gem at one of my favorite places to visit, the Historical Champoeg Heritage Area in St. Paul, Oregon. I plan on having a few of these around the cottage for whiling away summer afternoons. And who doesn’t need more places to pause and reflect in the garden, hmm? Stash away this PDF for the Leopold Bench. What’s inspiring you towards a gentler simpler life at home and in the garden? Share in the comments and via the social media links below. Keep the conversation going by subscribing to Panther Creek Cottage for occasional, seasonal encouragement on practical living. 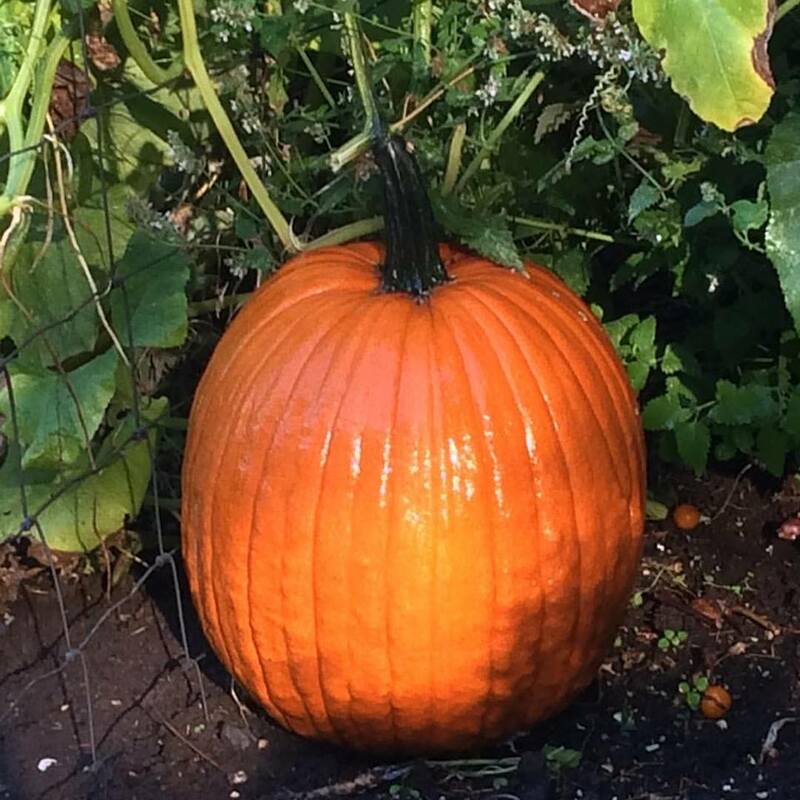 This entry was posted in Composting, Garden Stuff and tagged composting, fall, gardening, Historical Champoeg Heritage Area, leopold bench.